Many herbal therapies have tremendous health and healing benefits. In fact, the National Institutes of Health (NIH) has a research section focused on herbal alternative, and complementary medicine. If you are thinking about using herbs or herbal supplements and have chronic kidney disease, you need to be watchful concerning which supplements you decide to take. You should talk with your nephrologist before trying any new herbal supplement. Having CKD means that you need to pay attention to the dosage of all medications. Whether it is a prescribed medication from your doctor or an herbal supplement, it can still enter the bloodstream and have toxic effects on the body. The worse the kidney function, the higher the risk. All prescribed medications are regulated by the Food and Drug Administration (FDA), so you know you can always count on the ingredients being listed. There is, however, no current regulation of many herbal products, so many of their ingredients are unknown. Please understand I am not saying that more can't be done to improve the safety of prescribed medications. All I am saying is that we currently do not know the specific contents of several herbal preparations, and without any guidelines, the safety and efficacy of many these preparations is unknown. If you are deciding on an herbal preparation, you need first educate yourself on potential interactions with your prescription medications. Most medications and other supplements are metabolized by the liver and filtered by the kidneys. Certain herbs and medications can affect the liver's processing of other medications, either slowing down their metabolism or speeding it up. Depending on the medication involved, this may be very harmful. Patients with kidney disease, especially at the advanced stages, are more susceptible to these changes as they have limited kidney reserve to begin with. Talk with your doctor and other health professionals before taking an herbal preparation, especially if you advanced kidney disease. You will read about common herbal supplements that are being used for kidney disease. Keep in mind that the following list contains only a summary of commonly prescribed herbs; it is only intended to be used as a guide. Do not begin any of these supplements without first talking with your nephrologist and other health care providers. A great source of vitamins and some minerals, alfalfa has been used in the treatment of diabetes and fluid retention. However, this supplement may actually increase the level of inflammation in the body. In one study, primates given alfalfa developed a condition that mimicked lupus. In another, it caused a syndrome in monkeys that again resembled lupus. 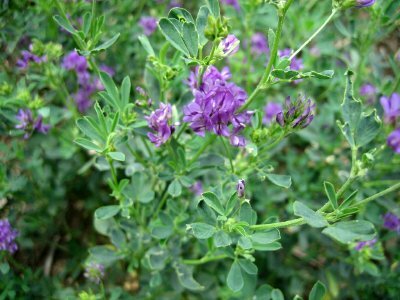 CKD is an inflammatory condition itself, and the fact that alfalfa can have that kind of effect on the immune system warrants further study in those with CKD, especially if any type of nephritis is involved. There is no standard alfalfa dosage, but some experts use it at doses of greater than 300 mg three times a day. Alfalfa can also be given in a tea form. Be careful if you are on a blood thinner like Coumadin, as alfalfa contains vitamin K. And in general, be careful if you insist on using this particular supplement. Aloe is used to treat many conditions, including stomach ulcers and colitis. That being said, it can sometimes cause diarrhea and affect kidney function, as well as affect electrolyte levels, including potassium. There have been some reported cases of kidney failure that were felt to be caused by aloe. Avoid using it if you have kidney disease. To find out more, you can check out Herbal Treatment For Kidney Disease.